Well, because they don’t really work that well. At least, they don’t work well when you are not at home. In that instance, the chances of someone investigating an alarm or even calling the police are slim. And just what are the chances of the police responding even if they are called? Not great. Burglars will often look for darkness or shadows around a home. Frankly, the last thing that they want is to be actually caught in the act of breaking in. Security lights can therefore be a powerful, yet underrated tool in the home protection armory. Access is also an important factor on the list of a burglar when they are scouting out a property as a potential target. They want to get in and out quickly, and a high fence can really make that a more difficult proposition than they are willing to take on. On the downside, both a high fence and security lighting can kind of make even a regular family semi start to look like Fort Knox. It’s hard to strike a balance between protection and making a home unwelcoming for family and friends. These particular security measures can make that fine line hard to thread. They may play their music too loud and they may park over your driveway – but it could be an idea to overlook all of those minor issues because a good relationship with your neighbors can help keep your home safe. Many people overlook them as a security asset, however a friendly relationship with both your immediate neighbors and others on your street can go a long way in protecting your home. So the next time you have a BBQ in the summer, just send a few extra invites and you’ll be going a long way in protecting your home. So, now we’ve looked at some of the rest, why do we think that CCTV is best? Well, because according to this survey of former burglars, it is the best way to protect your home from them. Ok, CCTV or a guard dog are the joint best, but you don’t have to feed a CCTV camera, nor will a camera system leave a little gift on your lawn you’ll have to scoop up with a plastic bag. You’ll also notice that alarm systems are not even in the top 10 deterrents according to these ex-cons. 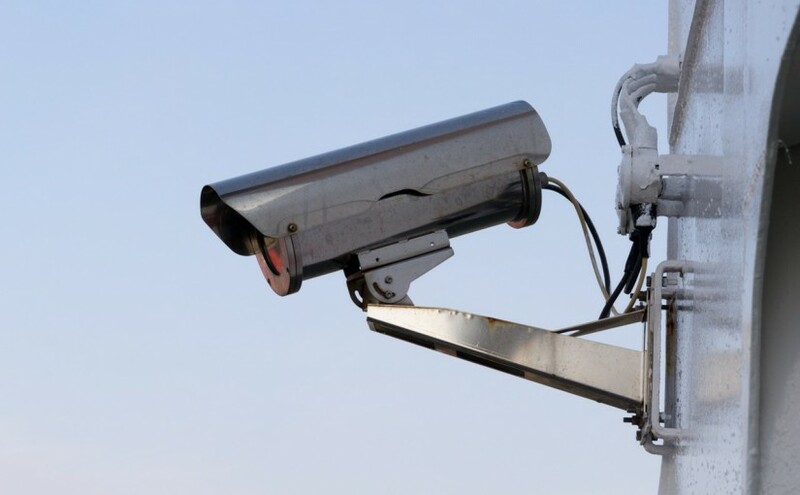 CCTV is a wonderful deterrent because it can be made highly visible – in fact it will really pay off to put up multiple and easily visible signs around your property that CCTV is in place. You really want to hammer home to any would-be thieves that all their actions will be caught on camera. Of course, whilst CCTV does have a number of advantages it also has a few glaring weaknesses. The main one is that it is a passive system. By this we mean that it doesn’t respond in any way to a burglary. So if a criminal decides to ignore the presence of the cameras, at that stage the traditional CCTV system is largely rendered helpless, relegated to simply recording evidence as thieves ransack your home. Unless you go for RE:SURE monitored CCTV that is. Monitored CCTV brings to the table everything that traditional CCTV does. It is a highly visible system that also records evidence if required. However, monitored CCTV also has a few tricks up its sleeve. The main one is that it, as the name implies, provides active monitoring of your property. Basically, it is activated when you leave your home or go to bed or whenever you feel you need the protection in place. You are the one who decides and you turn the system on – or leave it on all the time. Motion detection technology is used to do exactly what its name suggests. If the system is activated, the cameras send a live feed to a control centre, so they can assess the situation. If they feel the need, they can contact you, a nominated emergency contact or even the Police – who are more likely to come tearing along, sirens blaring, because we can confirm that this is not a false alarm – a crime is taking place. What’s more, the monitoring staff can even communicate directly with the burglar via the system. They can tell them they have been spotted and the police are on their way. In this way, it could be argued that RE:SURE monitored home CCTV is truly the most active and effective deterrent to crime. If it can also be paired with some of the other methods – particularly activated lighting, then you can go a long way in making your home safe from crime. As they mention in the article, the ex-burglars make it clear that they are generally going to steer clear of any home that is too well-protected. So a security light that activates as they prowl, neighbors that question who they are, and visible signs of a monitored CCTV system are all pieces that add together to make a home that no burglar is going to bother with.